Spring is just around the corner. Thinking of planting an organic garden this year but wishing you could just buy organic seedlings in lieu of growing from seed? Many of my loyal readers know that I grow my plants from seed. But I have in the past grown my vegetables from organic seedlings that I purchased by mail order. My first year I purchased four different heirloom organic tomato seedlings from California’s Laurel’s Heirloom Tomatoes. She has over 140 different varieties of heirloom tomatoes! Laurel is wonderful and help me choose four different varieties that I could make tasty homemade sauce. Once I put the seedlings into the ground, they shot up immediately and looked like very tall overgrown bushes. Despite my love affair with Laurel’s seedlings, I yearned for someone to sell organic seedlings in New Jersey (you know the garden state.) Call it fate or just plain dumb luck but I ran across Catalpa Ridge Farm who sells their heirloom tomatoes, peppers, and other vegetables to the public in May at three different locations in the NJ/NY area (Ramsey and Lafayette Village, NJ and Orangeburg, New York.) However, it is strongly advised to pre-order your plants for pick-up in those three locations. See here for a peek at their heirloom goodies. Don’t fret if you don’t live near any of those locations. The Farm will mail them to you. You can visit them online or on their eBay store. While you are on the site, note, that the Farm offers community supported farm memberships. See here for more information. So, not a seedling grower? 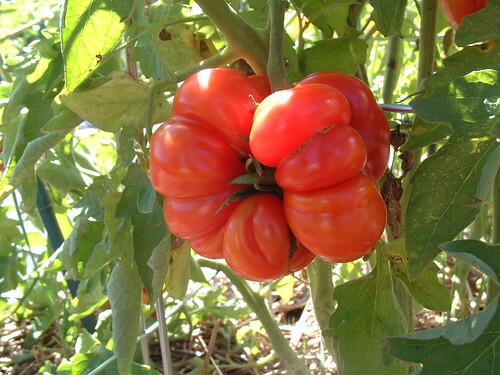 Then consider purchasing heirlooms from Laurel’s or Catalpa Ridge Farm. Heirlooms are amazing. Give them a try. Any other Heirloom Plant companies out there? If so, tell us about what you grow and how do Green Talk readers purchase your plants. Readers, what are you planning to grow this year? 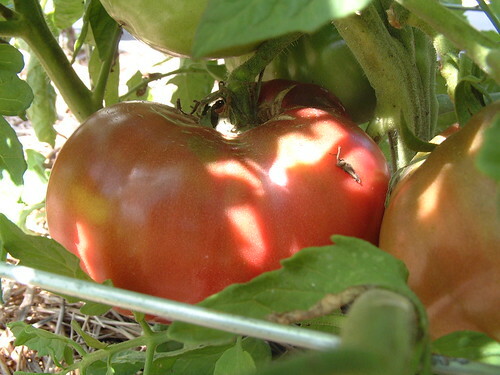 Have you planted heirloom vegetables before? Yes I love tomatoes to. Nothing like a tomato sandwich , a cold glass of milk and a pod of hot pepper.